Cocoon your bed with an extra layer. 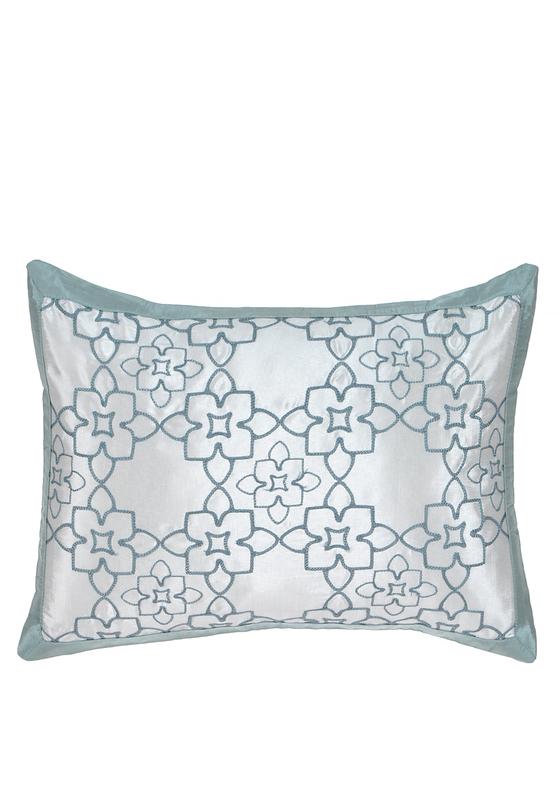 This soft silky cushion from Victoria and Albert Quatrefoil Collection will take centre stage on your bed. An ideal companion for your matching Quatrefoil bed linen. Comes in silver, aqua blue that shimmers to create that chic look.